The TTG Travel Awards are recognised as being the toughest to win in the UK and Irish travel trade, celebrating the very best suppliers and travel agents in the business and giving winners meaningful recognition that they can shout about. The awards ceremony itself is also renowned for breaking the mould. The spectacular awards ceremony takes place on September 16 at The Lyceum Theatre - home to The Lion King - with all guests being invited to an after-party at the glamorous Savoy London. Travel agents: make sure you nominate yourself (or a colleague) by June 7! PR and Representation companies: make sure you submit your entry by June 7! Agent rating is now open! All travel agents based in the UK and Ireland are invited to rate the suppliers they've dealt with over the past 12 months and nominate their On the Road Hero and Travel Company of the Year. You will need to have completed at least four of the six sections below, in order to be in with the chance of winning one of five £50 Amazon vouchers by Friday 17 May 2019. Tickets are now available to purchase for the TTG Travel Awards 2019! If you would like to purchase an agent ticket, please contact Becca Luke on bluke@ttgmedia.com. The dress code for this event is glamorous black tie. 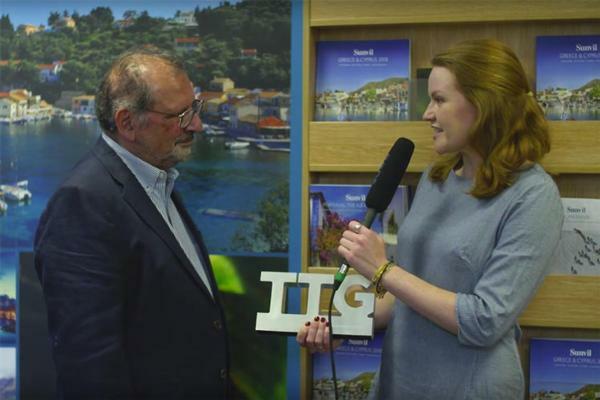 When and where do the TTG Travel Awards 2019 take place? The awards ceremony takes place on Monday, September 16, 2019 at the Lyceum Theatre, with all guests being invited to the after-party at The Savoy London. What are the timings of the TTG Travel Awards 2019? The dress code is strictly glamorous black-tie. Why should I enter the TTG Travel Awards? The TTG Travel Awards creates the opportunity to be recognised as the best supplier or agent in the UK and Ireland travel industry. The entry and judging process widely regarded as being the toughest in the business to win, while the awards ceremony itself is renowned for breaking the mould. I am a SUPPLIER, what categories can I enter and what’s the criteria for each of them? We have 16 categories that you can put yourself forward for, with a different criteria for each. There are some restrictions on how many categories you can enter so please read these criteria very carefully. I am a TRAVEL AGENT, what categories can I enter and what’s the criteria for each of them? There are seven agent categories you can enter using the online submission form. Please read the category criteria carefully before entering. I am a PR & REPRESENTATION COMPANY, what categories can I enter and what’s the criteria for each of them? You are invited to enter our PR & Representation Company of the Year category. Please note that this is the travel "trade" awards you need to work with travel agents in either a PR or marketing capacity for your client/s, and will need to give a trade-relevant campaign as your example. How much does it cost to enter the TTG Travel Awards 2019? If you’re a supplier: £199 (+VAT), if you're one of the highest-rated supplier, following the agent ratings taking place. If you’re an agent: all entries are FREE to submit. How do I enter and what are the deadlines? Entries must be submitted online and can be accessed using the below links. If you’re a supplier: you will be rated by our travel agent audience. The highest-rated in each category will then be asked to complete a submission form online and pay £199 (+VAT). A panel of judges (predominantly agents) will then assess your entry to choose a winner. If you’re an agent: your online submission will be assessed by a panel of suppliers. If you’re a PR & Representation company: your online submission will be assessed by a panel of industry experts and journalists. When will the shortlist be announced? The TTG Travel Awards shortlist will be announced on Wednesday, July 3, 2019. For sponsorship enquiries, please contact Matt Roclawski on mroclawski@ttgmedia.com. Norwegian Cruise Line is the innovator in cruise travel with a 50-year history of breaking the boundaries of traditional cruising. Most notably, Norwegian revolutionized the cruise industry by offering guests the freedom and flexibility to design their ideal cruise vacation on their schedule. Today, Norwegian invites guests to enjoy a relaxed, resort style cruise vacation on some of the newest and most contemporary ships at sea with a wide variety of accommodation options, including The Haven by Norwegian®, a luxury enclave with suites, private pools and dining, concierge service and personal butlers. Recently, the line was named “Europe’s Leading Cruise Line” for the ninth consecutive year, as well as “Caribbean’s Leading Cruise Line” for the fourthtime and “World’s Leading Large Ship Cruise Line” for the fifth straight year by the World Travel Awards. Norwegian will introduce three new “Breakaway Plus” Class cruise ships through 2019 and has four additional ships on order for delivery beginning in 2022, with an option to introduce two more ships in 2026 and 2027. ANA (All Nippon Airways) is Japan’s largest airline which has been awarded a 5-star rating from Skytrax for six consecutive years. ANA was named ‘Business Airline of the Year’ and ’Best CSR Programme’ at the Business Travel Awards 2018. Operating seven daily flights from Europe (London, Paris, Frankfurt, Munich, Dusseldorf and Brussels) to Tokyo, ANA connects passengers with Japan’s largest domestic network and 42 international cities beyond. ANA’s internationally renowned service is all by design. The ethos of ‘omotenashi’ (hospitality) brings care and attention to detail into everything it does, and has led the airline to prevail over its 5-star competitors, receiving ‘World’s Best Airline Cabin Cleanliness’ and ‘Best Airline Staff in Asia’ at the 2018 World Airline Awards. Bristol Airport is the South West’s gateway to the world, serving 126 direct destinations, with hundreds more accessible via frequent flights to major international hubs. Bristol is home to easyJet and Ryanair bases, alongside year-round charter operations by Thomas Cook and TUI. Last year’s highlights included TUI’s launch of long-haul flights to Florida and Mexico on the 787 Dreamliner, new Thomas Cook destinations in Egypt, Bulgaria and Cyprus, and the return of British Airways to the region for the first time in a decade with summer services to Spain and Italy. Investment in facilities, including an extended security search area, an enlarged immigration hall and a new car park reception centre, has helped Bristol Airport increase passenger numbers to more than eight million a year while maintaining strong customer satisfaction scores. Working with the travel trade remains a priority, with initiatives including a ‘hub’ incentive scheme and a dedicated Facebook group for local agents. Come on in. To a world filled with possibilities. Where the bar is made of ice, and the top deck made of grass. Where you can visit a new destination every day and immerse yourself in each of them. A world where you’ll discover the true meaning of nouvelle cuisine, and find its perfectly paired vintage. Where ‘me time’ is all the time. From far-off cities to far-flung shores, our world is wonderfully diverse in every direction. With one of-a-kind shore excursions, longer overnight stays, stylishly designed staterooms that’ll make you feel right at home, and a host of exclusive extras – welcome to a different view of the world, and a sale that makes a world of difference too. With 65 years of experience, Club Med is a worldwide leader and pioneer in all-inclusive premium holidays, providing the most comprehensive package on the market in 70 unbeatable locations. You can be sure that your customers are getting value for their money with everything being included. Look forward to the full-board gourmet cuisine, premium drinks and open bar, wide-range of activities and sports with quality equipment and entertainment for the whole family. In our Ski Resort, ski lift passes and all-level ski lessons with expert mountain guides are also included! Minimize the stress of planning that perfect break with Club Med. Together, Gold Medal and Travel 2 offer 80 years of expertise in providing tailor-made holidays for independent travel agent partners. With an extensive portfolio range, we offer everything you could possibly need to create the perfect holiday, including; long haul getaways, cruising and touring options plus short haul and long haul luxury escapes - all specifically designed for your customers’ requirements. Our longstanding relationships with key suppliers such as airlines, hotel chains, car hire, cruising and touring companies, combined with the buying power of Gold Medal and Travel 2, ensures we can secure exclusive deals to showcase the most competitive prices in the market. Not only that, in true Gold Medal and Travel 2 style, we thank our agent partners with an exciting variety of FAM trip opportunities, holidays, prizes and reward schemes. We also provide training programmes to help you gain additional knowledge and selling tips for those all important bookings. Gran Canaria is known as a ‘Continent in miniature’ alive with varied natural beauty, from the stunning dunes of Maspalomas to the volcanic interior. Its perfect climate makes it a year round holiday paradise. This beautiful island has a great offer of luxury resorts as well as boutique hotels and all the comfort and service for the most demanding clients. A great choice of spa centres and magnificent golf courses complement this luxury offer. Spend a few days in the capital, Las Palmas de Gran Canaria, a city with an interesting heritage and charming old quarter combined with fabulous gastronomy and amazing new aquarium “Poem to the sea”. Those wanting a more authentic experience should climb the scenic roads in serpentine twists up into the spectacular central massif, where they can enjoy beautiful walks and plenty of star gazing opportunities. 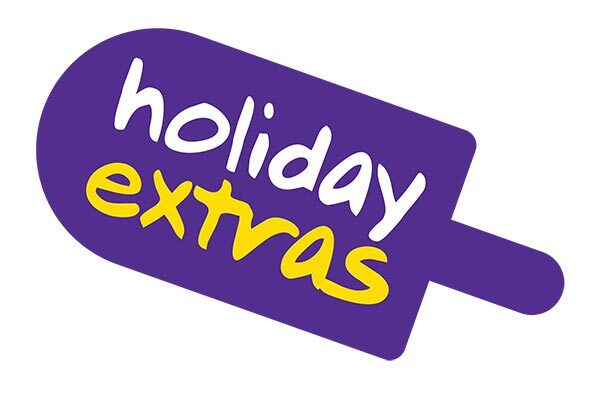 Holiday Extras is the UK market leader for travel add-ons, with over 4 million bookings made last year alone. We specialise in the essential extras that every traveller needs to travel better: airport parking, airport hotels, airport lounges, fast-track, car hire, airport transfers, travel insurance plus much more. We’ve been around for 35 years now, and every year we help millions of customers make their trip a better trip. As well as being an innovative, tech-focused company Holiday Extras is also award-winning, most recently taking home the awards for ‘Car Hire Supplier of the Year’ and ‘Holiday Essentials Company of the Year’ at the 2017 TTG Travel Awards. 2018 also marked 12 years of Holiday Extras being in the Sunday Times Top 100 Best Companies to Work For - a first in the travel industry"
Whatever your reason to getaway, whether a romantic break, birthday celebration or time to relax and unwind, a short break away in the UK is perfect for any occasion. Hoseasons offer a fantastic choice of self-catering holiday accommodation from luxury lodges & quaint, quirky cottages to boating on the broads or breaks at traditional seaside caravan resorts - we have something to suit every occasion, taste & pocket! Think Evermore Lodge Holidays, all designed with families in mind with home from home comforts, Autograph Lodge Holidays for Mini-Moons or Anniversaries, offering luxury lodges with your own outdoor hot tub or Bouja Luxury Boutique Breaks for something a little different and quirky. Hoseasons are the home of hot tub holidays, with over 3,100 hot tub lodges to choose from you’ll be sure to find your very own hot tub heaven. What’s more, many of these accommodations are pet friendly so now you can take the whole family. Jet2holidays is the UK’s second largest tour operator, and is a winner of prestigious awards for delivering outstanding trade sales relations and customer service, as voted for by both independent travel agents and customers alike. We offer great value ATOL protected package holidays to over 500 resorts across Europe, the Canaries and the Mediterranean from nine UK airports. With a choice of over 4,000 directly contracted 2-5 star hotels, return Jet2.com flights, 22kg baggage, transfers, and ATOL Protection included in all packages, we really do offer package holidays you can trust! On top of that we offer Free Child Places, Infants Go Free, free Resort Flight Check-In® and a team of dedicated in-resort Customer Helpers, all for a low £60 per person deposit. Our choice of holidays keeps on growing, and includes three brand new destinations for Summer 19 (Bourgas in Bulgaria, Chania in Crete, and Izmir in Turkey). We also have seven specialist brochures that give a taster of each range: Summer Holidays, Winter Holidays, Family Holidays, Jet2Villas, Indulgent Escapes, On Tour and Jet2CityBreaks. According to the World Economic Forum, Malta tops the global list of 136 countries for the priority given to tourism by Government. The Malta Tourism Authority is its vehicle for promoting the Maltese Islands to international travellers. The ninth smallest country in the World, Malta’s climate, history, hospitality and truly Mediterranean way of life makes it a wonderful choice for visitors of all ages seeking sun, sea, culture, gastronomy, nightlife, activities and events. For 2018 Malta is ranked 6th by Lonely Planet, 6th by Conde Nast Traveler, 4th by Rough Guides and 2nd by Diver Magazine as the best place to visit in the World. Malta also ranks 1st out of 49 European Countries for its tolerance of the LGBT community in the 2016 and 2017 ILGA Rainbow Index. We thank the British and Irish travel industry for its support in promoting Malta and its sister islands, Gozo and Comino. Renowned for extraordinary worldwide voyages aboard intimate, all-inclusive ships, Silversea is an ultra-luxury cruise line that offers unparalleled service and superlative comfort. Sailing to over 900 destinations spanning all seven continents, Silversea takes you to more destinations than any other cruise line. Our intimate, luxury ships glide into secluded ports inaccessible to larger ships. All-suite and spacious ocean-view accommodation comes with butler service. Beautifully appointed lounges and bars offer an elegant yet relaxed ambience. Fine dining; beverages including wines, beers and spirits; onboard gratuities and free WiFi are always included. For the curious traveller, Silversea Expeditions offer unique, awe-inspiring journeys to some of the world’s most exotic destinations, including Antarctica and the Galápagos Islands, aboard our fleet of expedition vessels. Discover the art of luxury travel as perfected by Silversea Cruises. Silversea now include economy class flights and overseas transfers on almost all of their voyages; and on Mediterranean and Northern Europe voyages they include Business Class flights. SOUND is an integrated marketing and PR agency created by a group of likeminded former colleagues with extensive experience of working with travel and leisure brands – on the agency and the client side. We understand the challenges brands face and supported by our teams of specialists, our integrated approach to planning and implementation delivers measurable solutions that meet communications objectives. Covering strategy, creative, media buying and PR, our joined-up approach makes working with us on the development and delivery of your campaigns straight-forward. And our integrated reporting gives you a complete picture of how effectively your activity is performing. This all leads to better planning, better targeting, better buying, better work, and better results for your business. This is a partnership founded on expertise and mutual trust. No egos. No channel bias. Just a desire to do good work and produce the best possible results for your brand. VFam, the new digital learning platform, powered by Spinning Globe, is an innovative and highly engaging learning experience that delivers destination and product information to the travel trade effectively and efficiently, empowering the user with knowledge that supports and invigorates the sales process. In-depth research with Tour Operators, Travel Agents and Tourist Boards led to the creation of the VFam, which has been designed in the same mould as a physical fam trip, delivering linear journeys that agents can use to increase their destination knowledge and help increase the value of a sale. VFams are created using quality imagery, video and 360-degree content, supported with short but highly relevant text in any language. Agents can train on a destination, product or attraction as If they were there in person. VFam, powered by Spinning Globe, has been created to educate the travel industry by delivering a more engaging, rewarding and profitable training experience across the world. Imagine your perfect getaway and all the things you love about a short break. We’ve been working to create short break experiences for over 30 years – from luxurious country retreats and beautiful coastal resorts to bustling cities thriving with shopping and nightlife, we’ve got it all! The choice is incredible, whether you want to lose yourself in your favourite hideaway or venture somewhere new and exciting, there’s so much waiting to be discovered. And don’t worry about arranging all those little extras that make your break even more memorable – rail tickets, seats at the theatre, entry to a top attraction – we can take care of it all. The hip, urban heart of Florida’s Gulf coast beats in Tampa Bay. Bask in the warm sun, exciting fun, and rich culture that make Tampa Bay Florida’s most diverse vacation destination. Experience everything from heart-pumping thrills to waterfront sunsets. Savor local flavors from the country’s most creative chefs. Stroll the Tampa Riverwalk, which links restaurants, parks and cultural centers like gems on a string. Step into the past in Ybor City, where Cuban artisans hand-roll cigars as they have since 1885. Revel in the spirit of Gasparilla, Tampa Bay’s annual pirate-themed party and all the festivals that follow. Treasure awaits. - A Travel Commerce Platform through which it facilitates travel commerce by connecting the world’s leading travel providers with online and offline travel buyers in a proprietary business-to-business (B2B) travel marketplace. Travelport has a leadership position in airline merchandising, hotel content and rate distribution, mobile travel commerce and a pioneering B2B payment solution that addresses the needs of travel intermediaries to efficiently and securely settle travel transactions. Holiday of a lifetime, every time. Incredible destinations, unique experiences, Guaranteed Departures, early booking Price Promise, Price Match Guarantee and world-class tour managers are all what makes Travelsphere stand out in the escorted tours market. Travelsphere has specialised in providing escorted tours across the globe for over 50 years, and they still love to share their passion with like-minded people. Travelsphere offers tours to over 60 global destinations including new experiences to the Galapagos, Patagonia and across Europe. In Travelsphere’s latest brochure there over 150 unique tours, including 21 to Italy, where Travelsphere is the market-leading specialist. All Travelsphere holidays include flights, many of them from regional airports, local transfers, accommodation, with customers being looked after by a Travelsphere Tour Manager along with gaining insights from local guides. Travelling with Travelsphere means getting under the skin of a destination and sharing experiences in good company. Established in 1981 Vertical Systems have been a key supplier of travel technology for over 38 years. Best-known for the robust award winning Tarsc back software Vertical Systems now have a fully integrated product suite including vHub, vCrm, vSearch, vPay, vCruise and now the recently launched vTarsc. Vertical Systems pride themselves on offering Travel Technology by Travel People for Travel People. Over the past year Vertical Systems have invested over 2-million pounds and made huge advances with their technology following a complete rebrand. All products now have a new slick and consistent design fully optimised for mobile. vHub offers single log in access to the suite of Verticals integrated products. Tour operators and hoteliers now have complete control of their hotel contracts - allocations, special offers and sales with Verticals vStock platform. Vertical Systems’ young, dynamic team continue to innovate and support the industry with its portfolio of products-and are proud to be a TTG Sponsor. Wendy Wu Tours is an award-winning tour specialist, offering a comprehensive range of escorted tours, private tours and tailor-made holidays to China, Southeast Asia, Japan, India and South America. Since Wendy’s first tour departed in 1994, they’ve been perfecting and diversifying their range of tours to capture the very essence of the destination, so you’re not just admiring the top sights but truly discovering them. Their guides are recognised as the best in the industry and they use their detailed expert knowledge and natural charm to create truly extraordinary on-tour experiences. Their inspiring range of escorted group tours offer outstanding value – including all flights, accommodation, meals, excursions and entrance fees. They even include your visa – worth up to £200pp. As well as classic group tours, the company also offers more culturally immersive tours in their Immerse Yourself range, luxury journeys in their Exclusive Collection, tailormade holidays and river cruising holidays throughout Asia.